For a correct evaluation the test should always be used in fullscreen mode. 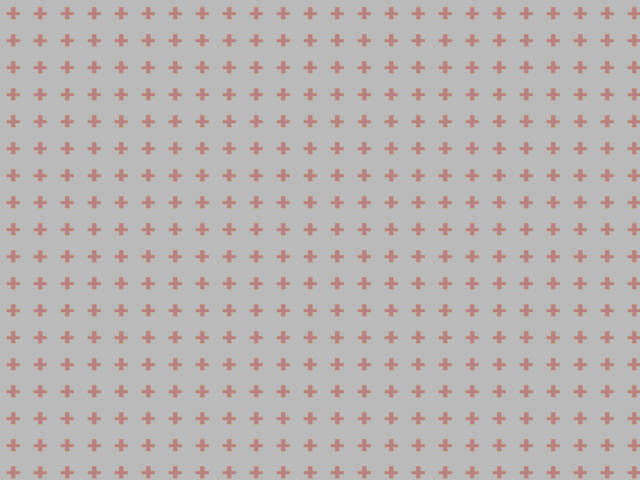 With the geometric test pattern you can check the resolution and sharpness of the screen. The pattern will be displayed white on black and black one white. With the black surface you can check for “backlight bleeding” and “IPS glow”. “Backlight bleeding” means that the backlight will radiate unevenly at the edges. Depending on how serious this effect occurs, this can also be considered as a defect. “IPS glow” is an effect that often occurs on screens with IPS panels for technical reasons. There is a slight brightening, depending on the angle. If A-TW polarizing films are used, this lightening may look greenish to one side and reddish to the other. With the gray and the white surface you can check the uniform illumination and color purity. The color surfaces consist of pure primary colors and can be used to locate any pixel errors. 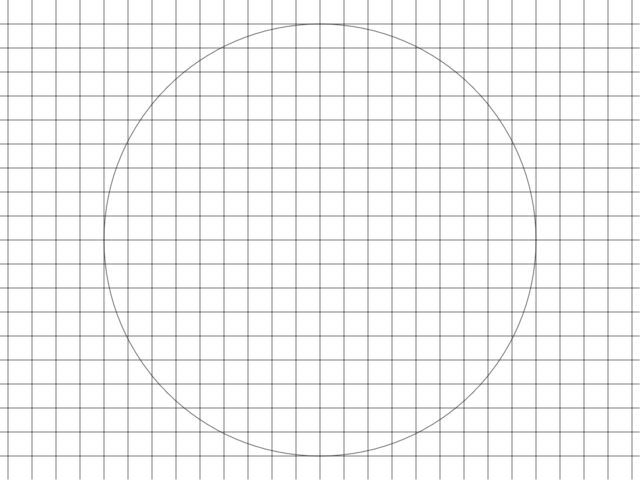 The two other surfaces contain a halftone raster, in which all pixels are alternately white and black. 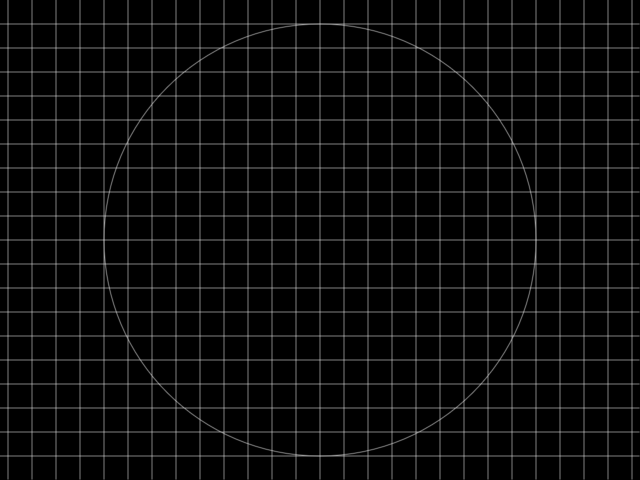 If individual subpixels are faulty, they appear as dark or bright spots on one of the surfaces. Important: if you see a pixel error you should also check if it is not just dust! The purple surface can be used to check whether the display changes depending on the viewing angle. On screens with TN panel, the surface is often not uniform even when viewed at a straight angle, but appears in an altering hue from top to bottom. The second surface contains a gray background and a special “+” symbol made of pink and light green stripes. On screens with TN panel, you usually do not see a uniform pattern here, but the “+” symbols disappears to the upper or lower direction in the gray area, which in turn is also not displayed uniformly. 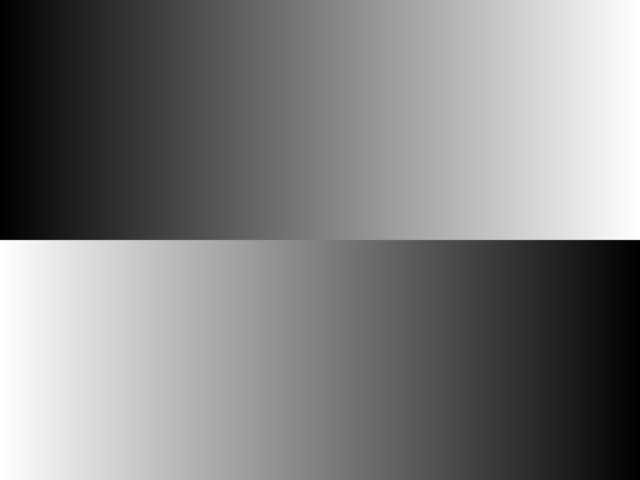 With the gray and colored gradients in different directions you can check the color depth. Devices that only display 6 bits per color channel do not show a uniform gradient but rather clearly visible steps. Sometimes it helps to set the contrast to 50%.